When it’s time to take life outdoors, a brick patio or driveway is a perfect host for all of your family activities. Brick pavers define beauty, elegance and durability for driveways, walkways, pool decks and patios unlike any other paving material. 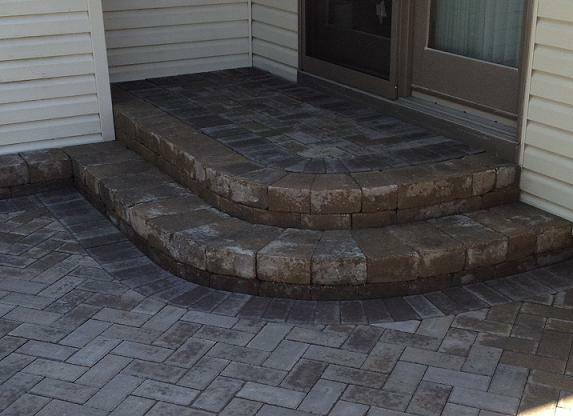 Every Suburban Landscaping brick project is custom tailored to your needs and the look and feel of your property. When you hire Suburban Landscaping to do your brick patio or driveway, your mind will be at ease because you’ll know you are in good hands. We have been building beautiful patios, walkways, driveways and outdoor living spaces in the Chicagoland area since 1984. Our experience and expertise gives us the confidence to guarantee your satisfaction. When designed in combination with ornamental seat walls or other outdoor living concepts, such as an outdoor kitchen fireplace, or firepit, brick patios become far more than just a patio. Our designers can transform your old landscape and concrete slab into an outdoor room designed for your needs and lifestyle. 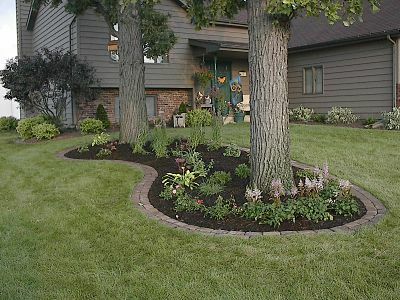 Enhance the curb appeal of your home by having Suburban Landscaping design and install a unique, one-of-a-kind work of lasting beauty. Call our design team today! What does a brick patio cost? The cost of a brick patio can vary depending on many factors (size, shape, brick selected, etc.). Click this link to see some typical pricing examples for brick patios and driveways. Also, our designers would be happy to meet with you and provide you a free consultation and estimate on any type of brick project. Suburban Landscaping offer one of the largest selection of brick products in our market, giving our designers the tools to help you create the patio, driveway, or entrance way or your dreams. 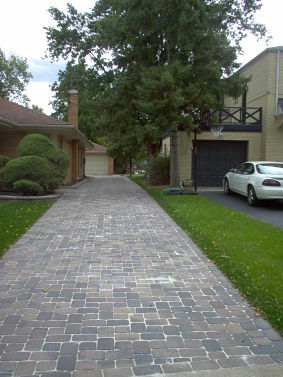 Unlike most landscape companies, Suburban Landscaping also designs and installs other types of paving bricks, such as reclaimed Old Chicago Pavers and Clay Pavers, both which can offer a different and unique look to your paving project. If your project doesn't lend itself to man-made products, we also offer natural stone paving such as Bluestone and flagstone to create the exact look your project requires. Below is a partial list of the brick we carry and links to the manufacturers websites for inspiration. For more ideas see the examples of our work page of our site. These pictures will also demonstrate the talent and skills or our designers and construction crews. When a brick patio is installed by a homeowner or inexperienced contractor, often without the proper equipment or knowledge, the chances for the patio to fail increases significantly. Brick patio repair has become an unfortunate specialty of ours over the years, repairing sinking and wavy patios that were improperly installed. Repairing a patio is often an option that should be considered, no matter what the appearance of the patio looks like. What may look like a complete disaster to a homeowner can actually be a uncomplicated repair to a trained professional. Often we can re-use the existing brick and base, saving our clients hundreds or thousands of dollars. Suburban Landscaping has been a brick patio installer since 1984 and has installed and repaired thousands of patios and driveways, gaining new techniques and tips that make our patios the most durable in the industry. All brick pavers we sell carry a lifetime warranty by the manufacturer. All of our brick work is guaranteed in writing and backed by one of the largest local landscape companies since 1984. Being experts at brick paving, we have only had to preform warranty work on approximately 2% of the work we have installed since 1984. For more guarantee information, see our written guarantee on this site. We have in-stock tumbled pavers, which give you that European or Old World look, and non-tumbled pavers, which give a clean and uniform look. We can design patios of multiple sizes, and patterns like circles, squares, fans, random patterns and more to suit your style. The huge range of colors and patterns available makes customized designs possible for any type of courtyard, patio, walkway, or driveway. We also can combine products and color ranges to provide a truly unique look to your design. Unlike concrete, a properly installed brick paver driveway won't crack, shift, sag or separate, and will continue looking fantastic for generations. The following links will take you to the manufacturers website for each of these products. They have all of their products and color ranges located on their sites. Brick Pavers OR Stamped Concrete? Even through brick pavers are sometimes compared to stamped concrete, the only real similarity is the cost. Brick pavers are not only more attractive, but are stronger and crack resistant. If you are weighing your choices between stamped concrete and Brick Pavers, there is quite a lot you should know. Find the facts before you decide which product is right for you. Follow this link to read the comparisons about stamped concrete VS brick pavers. Sealing your new brick patio or driveway is a personal choice, being used for both aesthetic and functional reasons. Sealers can offer visual improvement by intensifying the paver colors, and others will add a glossy sheen or "wet" look to the pavement. Other sealers offer some color enhancement and produce a low sheen, or a flat finish when applied. Sealers also offer many functional advantages, they can protect your pavers from possible stain penetration. They are useful around driveways, trash receptacles, restaurants, service bays other areas subject to stains, and where oil drippings are not wanted. Sealers can stabilize joint sand between pavers cleaned by vacuum sweeping equipment. They can help maintain the sand in the joints under high velocity water flows. Another common use for brick pavers is installing pavers as lawn edging. Paver edging is installed flat, even with the lawn so lawn mowers can cut right over the tops, avoiding the need for string trimming. 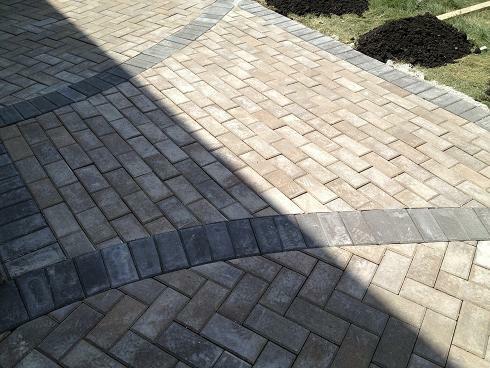 Paver edging also retains the mulch or stone bedding material in the beds. 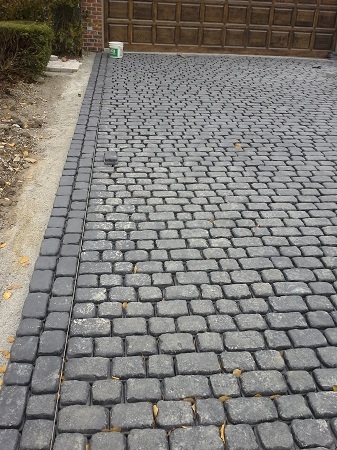 Another advantage of paver edging is the flexibility of design options, being available in many colors, sizes, and shapes. And most importantly, paver edging is the most resistant bed edging to heaving from winter ground freezing.